Week 2 of remixing is now over and I honestly can't believe how much fun I'm having mixing and matching my clothes and accessories. I already have a few "go to" pieces that I feel I could wear almost daily and I still have a few bottoms that I haven't even worn yet so I'm feeling pretty good going into week 3. Lessons learned this week: First, I do not love wearing shorts. 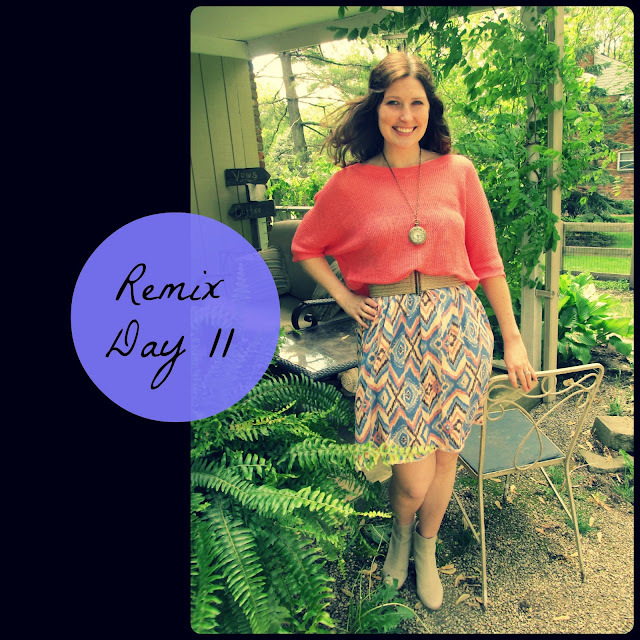 Why I picked 3 pairs for my remix, I still don't know, but I am always happier and more comfortable in a skirt. And second, experimenting with different fabrics and patterns makes me strangely happy. 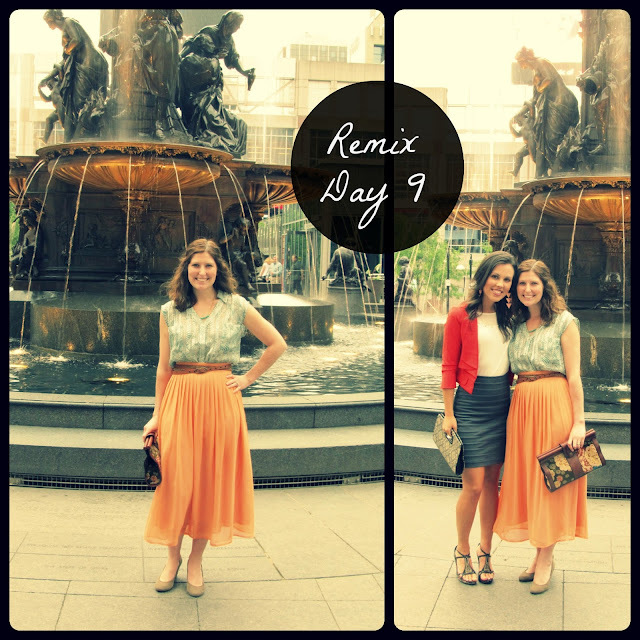 Here are my outfits days 7-12 including what I wore to a last minute Broadway show and for Mother's day! Love day 7! That top is super cute! Great job on your remixes! I love that pleated coral skirt, so pretty. All of these colors work really well together. Love these mixes! Especially day 9! You seriously have the cutest skirts! I hate wearing shorts so I didn't include any in mine haha! Gorgeous. You have some great colors and prints going on here. (did I say that last week?) You do! I love day 11, that top and skirt look so cute together! 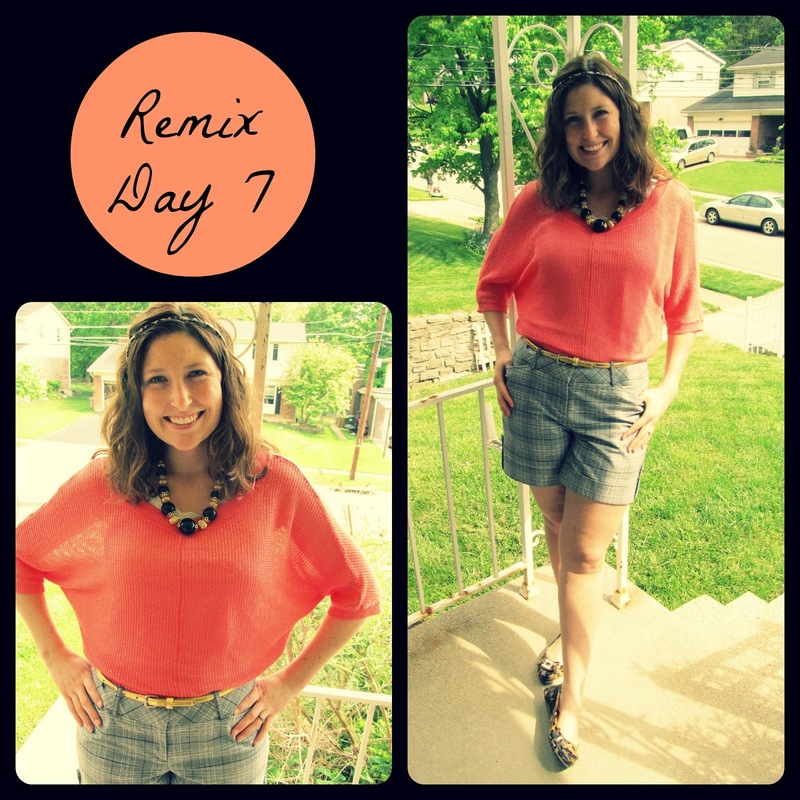 I love the shirt you are wearing on Day 7, especially its texture! I need to go back to your first post to see what brand it is... On Day 8 I LOVE the necklace and how well it goes with the skirt. I need some more longer necklaces. Day 12 is so cute how you tucked in the cardigan into your belt and skirt! I may try that in week 3! Blue is a good color on you! Day 9, 10, 11....LOVE LOVE LOVE!!! 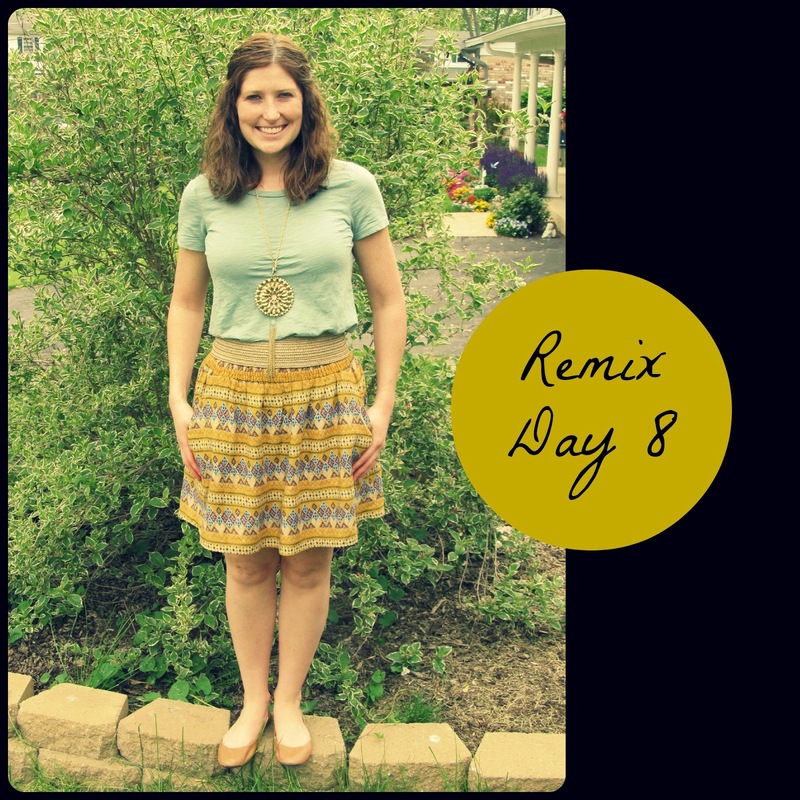 That day 9 skirt is fabulous!! 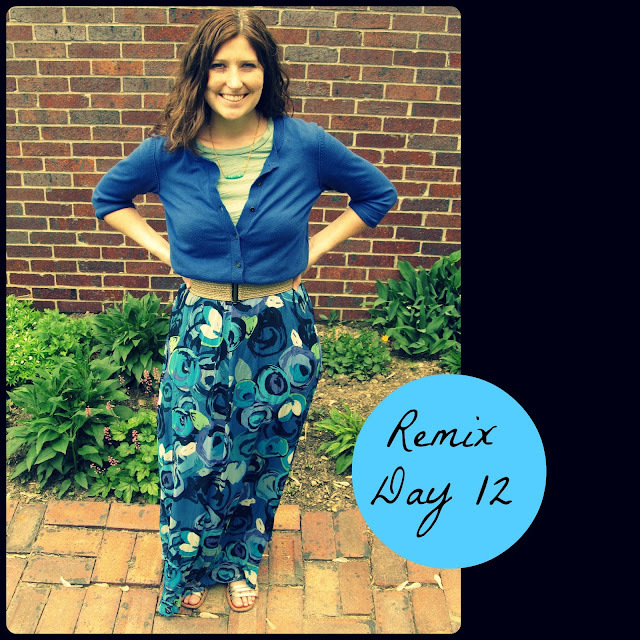 I liked how you tucked the cardi into the maxi skirt on day 12...that's a great idea to give it a different look!! Great job!! 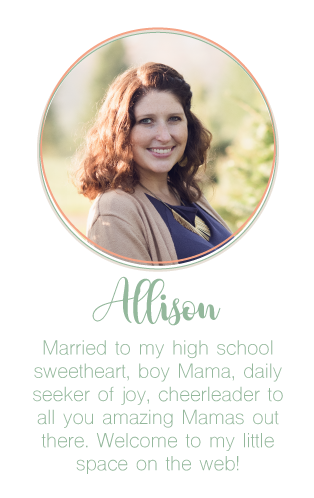 Allison! Day 12 is my favorite! So bright and fun! I love your maxi! All your skirts are so cute! Love, Love, LOVE day 9! Great pictures too! Keep it up! I love your flowy style! Don't think I could pick just one favorite. I need to get back on a remixing challenge...I've been in a funk lately. I'm loving that orangish maxi skirt. So cute! 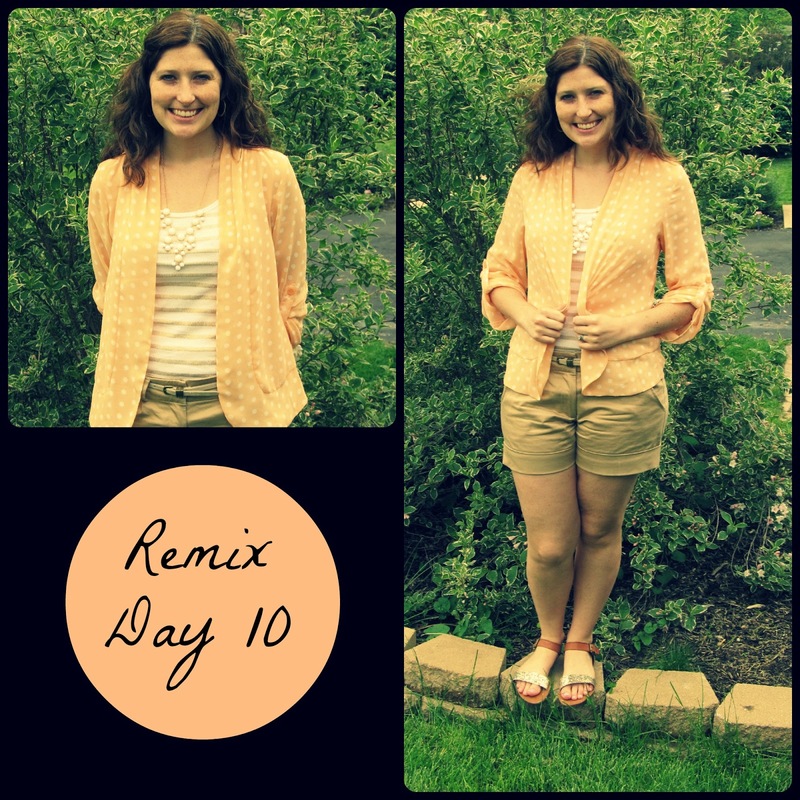 I'm with you on how I feel wearing shorts vs. skirts - but day 10 is still awfully cute! i am in love with that orange skirt - so pretty!!! you are doing so well with all your outfits - i love them all! Look at you go!!!!!!!!! I want that orange pleated skirt....so freaking adorable!!!! Keep it up, sister! fan of all the color!!! Allison you are so CUTE!! I love outfits 8, 9, & 10!! Especially 9!! You seriously helped boost my confidence when you told me to just do an outfit post :) Thanks!! You look so cute in all your outfits! I really love that white bubble necklace you have! Cute cute! I like day 8.